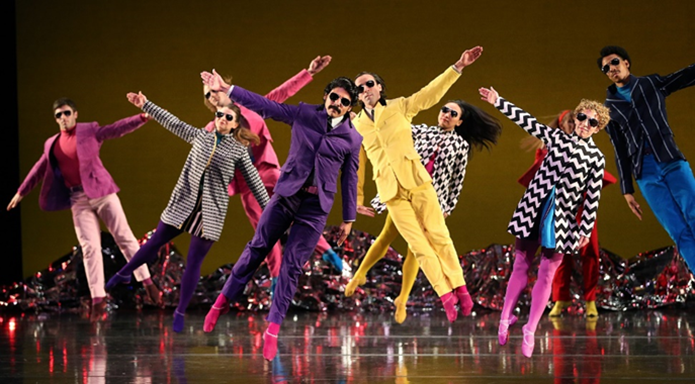 Birmingham Hippodrome in delighted to announce that Pepperland by Mark Morris Dance Group (MMDG) will visit the theatre on Tues 26 & Wed 27 Mar 2019 as part of a new UK and Ireland Tour. The Beatles’ ground-breaking 1967 Sgt. Pepper’s Lonely Hearts Club Band album is the inspiration behind Mark Morris Dance Group’s (MMDG) Pepperland, presented by co-commissioner Dance Consortium and touring across the UK and Ireland between 20 March & 1 May 2019. Now, set to tour across the UK and Ireland for the very first time – London, Birmingham, Salford Quays, Bradford, Edinburgh, Canterbury, Cardiff, Plymouth, Southampton, Norwich, Newcastle and Dublin – Pepperland features an original score by composer Ethan Iverson, inspired by some of the album’s most enduring hits: Sgt. Pepper’s Lonely Hearts Club Band; With a Little Help From My Friends; A Day in the Life; When I’m Sixty-Four; Within You Without You; and Penny Lane. Iverson’s fresh arrangements of the original tracks will be performed live by MMDG Music Ensemble – Pepperland‘s unique chamber music group – and is interspersed with six original Pepper-inspired pieces that complement Morris’ profound understanding of classical music styles of allegro, scherzo, adagio, and the blues. Community engagement is a vital component MMDG’s work. The group integrates opportunities for dance, music, talks, and education at its Brooklyn home, the Mark Morris Dance Center, as well as on tour around the world. Pepperland’s UK Tour 2019 will feature talks and participation events including MMDG’s renowned Dance for PD® workshops – born from the idea that people with Parkinson’s could benefit from the insight and specific techniques and methods used by dancers to guide their own bodies and minds. The workshops strive to increase coordination, balance, flexibility, and strength through music and movement from a broad range of dance styles. Pepperland will visit Birmingham Hippodrome on Tue 26 & Wed 27 March 2019 at 7.30pm. On sale to Friends on 23 Aug and on general sale 29 aug.